Whether you’ve been naughty or nice, Santa and his helpers deserve a little treat while they are busy putting presents under the tree. Even if you don’t celebrate, you might merit a little holiday cheer. Unwrap the Candy Cane and place it in a plastic bag. Smash the candy with the back of a spoon or the wrench you are unsuccessfully using to assemble holiday gifts until the peppermint is in pieces the size of whoville or large grains of sand. Pour the Chocolate Syrup on to a small plate. Pour the crushed Peppermint Candy onto another small plate. Dredge the rim of a martini glass (or any other glass you can find in your holiday haste) in the chocolate syrup. Dredge the chocolate coated rim through the crushed peppermint. Fill a cocktail shaker with ice. 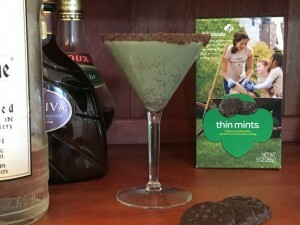 Pour Vodka and Godiva Chocolate Liqueur over ice. 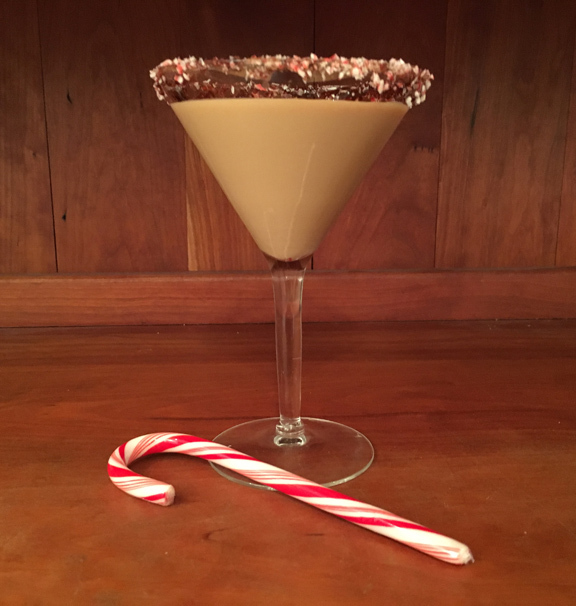 Shake well and strain as you pour into your chocolate and peppermint rimmed glass. Leave the cocktail by the fireplace for Santa or sip and enjoy! Be sure to let the reindeer do the driving if you will be drinking on Christmas eve. Happy and safe holidays to all! Cheers!